A new study that questions the effectiveness of acetaminophen for low back pain (LBP) and hip or knee osteoarthritis (OA) has also sparked a discussion about what does work: namely, movement and exercise. The study itself, published in the March 31 British Medical Journal (BMJ), analyzed results from 13 randomized clinical trials that evaluated short-term pain and disability outcomes for a total of 5,366 patients who received either acetaminophen or a placebo for LBP (1,825 patients) or OA (3,541 patients). 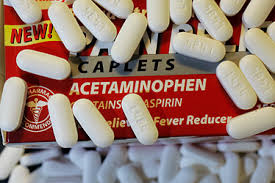 Researchers concluded that evidence was strong that acetaminophen is "ineffective" for reducing pain intensity or improving quality of life in the short term for people with LBP, and provides "minimal short-term benefit" for individuals with hip or knee OA. "Overall, our research is based in 'high quality' evidence … and therefore further research is unlikely to change this evidence," authors write. "This systematic review should inform clinical practice and policy with regard to first line care of these patients." The study was accompanied by an editorial in BMJ titled "Physical treatments are the way forward." In that editorial, authors cite the UK's National Institute for Health Care and Excellence (NICE) recommendation that all patients with OA receive information on exercise and weight management (if appropriate) and write that "the effectiveness of exercise for both osteoarthritis and spinal pain is established." The editorial names physical therapists as "key professionals to offer expert advice and support in this regard," and calls for a shift in treatment away from drugs. "Changing behavior of doctors and their patients is notoriously difficult, but the findings [of the study] emphasize that the time has come to shift our attention away from tablets as the default option for managing chronic musculoskeletal pain," editorial authors write. "Non-pharmacological treatments work, are safe, and have benefits that reach beyond the musculoskeletal system." The BMJ study was reported in the media, including on websites for the Today show and US News and World Report, which posted a report on the study first published in HealthDay. Both reports mentioned physical therapy as an effective treatment. The HealthDay article also included a response to the study from Allyson Shrikhande, MD, a physiatrist in New York City. Like the BMJ editorial authors, Shrikhande cited the efficacy of nondrug approaches. "Strengthening exercises have been shown to decrease pain in knee osteoarthritis," Shrikhande is quoted as saying in the HealthDay article. "Physicians often prescribe [acetaminophen] or other oral medications as first-line treatment, but perhaps an individually tailored physical therapy program should be tried prior to the use of [acetaminophen] or other oral pain medications." The BMJ study authors themselves also acknowledge the benefits of an approach based on movement. "Recent evidence on lower limb [OA] shows that exercises (such as strengthening exercise) compared with no exercise control result in large treatment effects for pain reduction," authors write. "[Acetaminophen] alone therefore might not be sufficient to treat hip or knee OA and might need to be accompanied by other management strategies, such as exercises or advice/education." The Health Center for Low Back Pain at MoveForwardPT.com, APTA’s official consumer information website, includes numerous resources about the benefits of physical therapist treatment.